She's Fantastic: The Ladies of STAR WARS RESISTANCE! 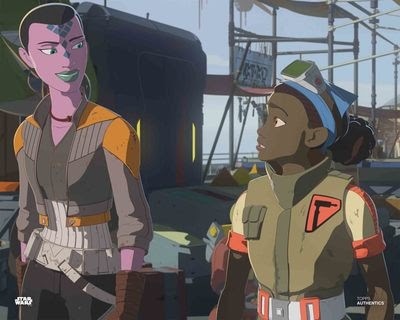 The Ladies of STAR WARS RESISTANCE! I've always tried to limit my collecting of 3.75" Star Wars figures. I mean, I still have dozens (mostly Ewoks), but without setting limitations I would easily have hundreds. However, one thing that always draws me in are the figures from the new animated shows. I love the way they incorporate lots of classic cinematic elements but with bright colors and simplified designs. They really appeal to me on a base level. 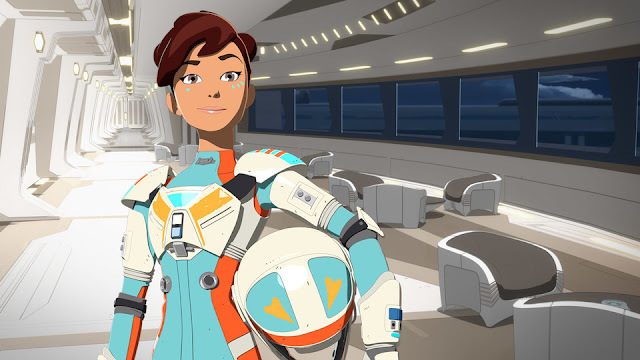 The newest entry in the Star Wars animated universe is Star Wars Resistance on Disney XD. This series takes place between Return of the Jedi and The Force Awakens and deals with a cast of characters (mostly pilots) who are spying on the New Republic to see who might secretly be siding with the New Order. I have only watched small portions of this series so far but I'm excited to dedicate some time to binge the entire season. I like how there are real tie-ins to the films, especially the characters like Poe Dameron, BB-8, and Captain Phasma. Let's check out Synara San and Torra Doza in detail below! Synara San is a rare purple-skinned Mirialan (Luminara Unduli is probably the most famous Mirialan). She is a scavenger and pirate with dubious allegiances. These figures have very limited articulation: neck, shoulders, and hips. 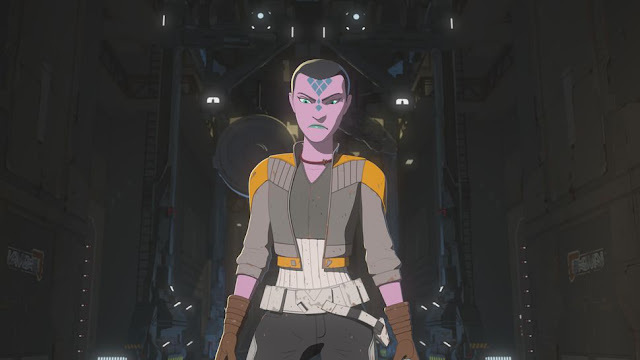 Synara comes with a cool helmet (very reminiscent of Lando's Skiff Guard helmet). The helmet is made of a very soft plastic that is prone to warping. She also comes with a small blaster that fits into her holster. 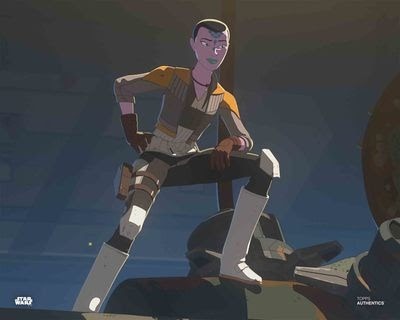 Torra is a young unassuming pilot whose age belies her skill and competitiveness. 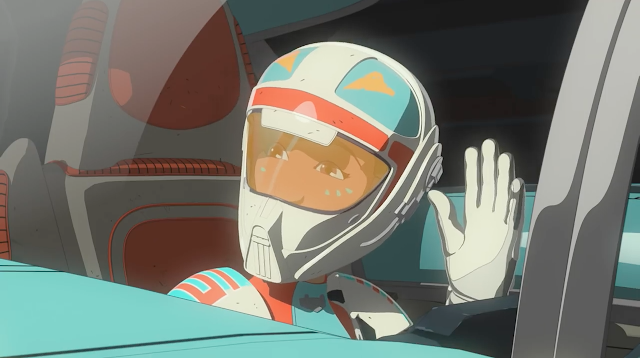 She defeats the main character, Kaz, when they race in the first episode. I originally intended to post Torra as an individual post, but I've had so much trouble photographing her that I'm just pinning her pics on the end here. For some reason my camera blurs her and saturates her colors. I played with the setting and tried several times with the same results. It has something to do with the plastic of her skin. Torra comes with an entire alternate helmeted head (as opposed to just a helmet like Synara). 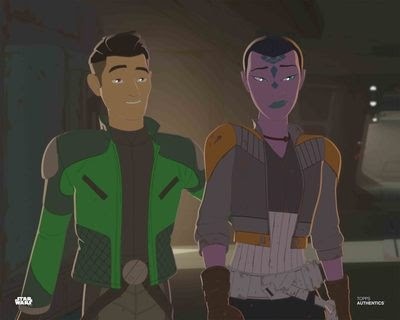 Here are a couple pics of Synara San and Torra Doza together. I like the different statures. 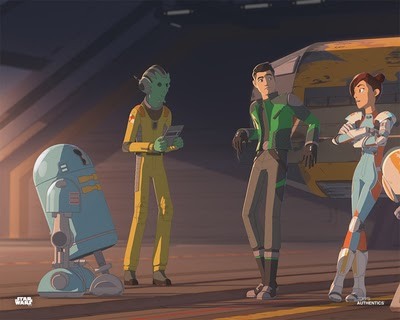 Here are Synara and Torra with two animated figures from Star Wars: Rebels - Sabine Wren and Hera Syndulla.